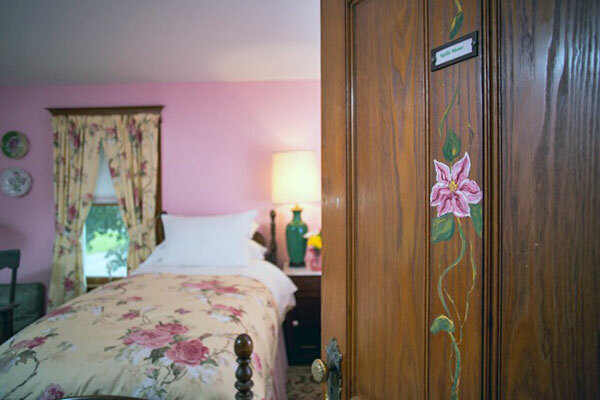 Named after the two-toned pink clematis, this room is painted a rosy pink and is furnished with mid-1800 walnut twin beds. 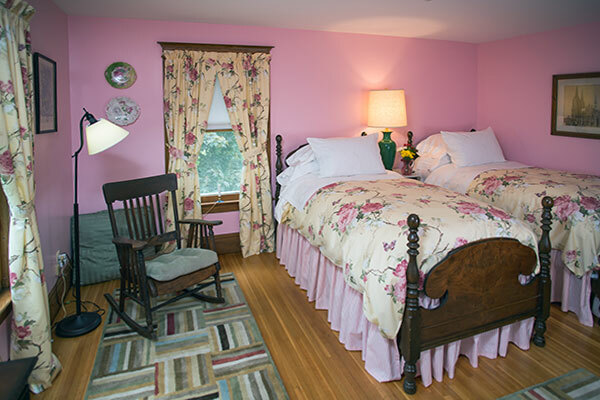 There is an antique rocker, a walnut wash stand, and a walk-in closet. This room has a bath at the end of the hall. I don't see how you do it? Each visit has been even more relaxing than the last. I slept so well! See you next year, perhaps with my little friend (Max) back in tow.